Designed as they are to take the driver out of the equation, you might think that the idea of an autonomous vehicle would seem diametrically opposed to that of a supercar. But Audi disagrees. The German automaker has cooked up a series of “piloted driving” concepts that are increasingly focused on performance, and this could be the ultimate iteration yet. 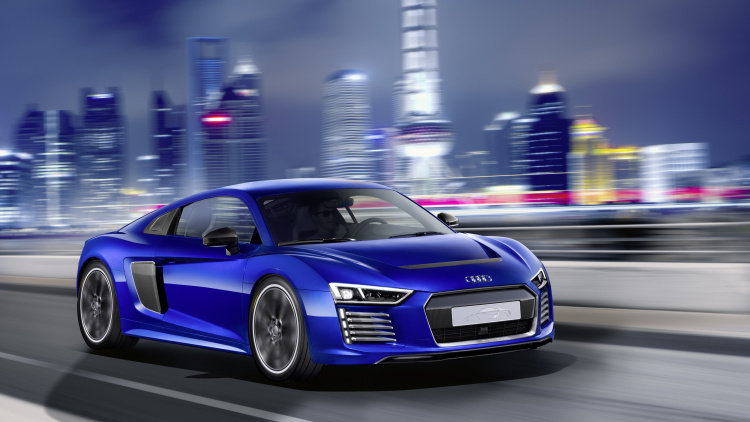 Audi’s latest Piloted Driving demonstrator is based on the R8 E-Tron. It’s altogether almost identical to the one we saw in Geneva, packing an electric powertrain to deliver 456 horsepower, 679 pound-feet of torque and a 0-62 time of 3.9 seconds. Only in this case, it can do it all on its own, without any driver intervention. It’s the latest in a series of concept cars that has already included a version of the RS7 Sportback designed to lap the racetrack, and the Prologue concept that drove itself to CES. This concept was similarly unveiled at CES Asia, the Eastern counterpart to the tech expo we usually catch in Las Vegas. Just what the point is in engineering (or buying) one of the best-driving cars on the market and then handing over its operation to a computer, we don’t quite get. But at least we can rest easy knowing that Audi is not giving up on performance as autonomous tech turns the driver into just another passenger.